Director Marc Webb is currently filming The Amazing Spider-Man 2 and is teasing the hell out of fans by releasing scraps of information over social media. The above image of a part of Spidey’s mask was hidden within a video tweeted by Webb earlier today. (Webb previously talked to Steve about fan interest and the revised Spider-Man suit in this interview.) While it’s great that the director is attempting to keep contact with fans, we have a long way to go until the sequel’s May 2, 2014 release date. Maybe by then we’ll have the whole costume cobbled together from images embedded in random videos (fingers crossed for the codpiece shot next!). The Amazing Spider-Man 2 stars Andrew Garfield, Emma Stone, Jaime Foxx, Shailene Woodley, Dane DeHaan, Colm Feore, Sally Field, Martin Sheen and Paul Giamatti. 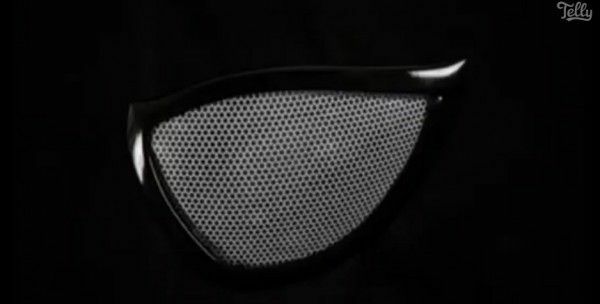 Hit the jump to see the full image, a link to Webb’s video and more on the social media of The Amazing Spider-Man 2. Feel free to follow Webb on Twitter if you’ve got a case of the “Arachnocrazies” and can’t wait to get your hands on random shots of behind-the-scenes crew or cryptic images from the set. That last image is at least interesting because it hints at the possibility of Venom making an appearance in The Amazing Spider-Man 2 in some fashion. The simple shot of a locker, presumably in Oscorp, is suspected of housing the alien symbiote discovered by Peter Parker which grants him new powers and a cool new suit. While I don’t expect to see Venom in anything but a post-credits teaser or an off-hand mention in the movie, the idea of the symbiote as an experimental project in Oscorp definitely fits into the mold that the original film established. Intriguing!